This book is half memoir and half beginners guide to wine. I liked both aspects and I think Laure did a great with transitioning from one to another. It’s weird to think that we’re almost the same age and she’s accomplished so much in a short span of time. She had a whirlwind romance with New York City, although she eventually found her way back home to France. I wish she expanded more on what about the US (or possibly just New York) that she felt drawn to. What were the perks? There were portions that she repeated often, and sometimes it felt like she remembered things too clearly in her favor. Overall, she was very transparent of her filial connections in the wine industry and how that set her started on her career. I appreciated her honesty about how she began her career in the wine trade, and how despite the connection, she still had to put in a lot of time and effort to learn about the intricacies of wine. Although her rant went a little too long, I totally agree with Laure’s sentiments about turkey for Thanksgiving. I load up my Thanksgiving plate with ham. I don’t understand the obsession with turkey, as a centerpiece for a feast or the deli meat version for sandwiches. Although a reverse from what I normally read (American girl falls head over heels in love with France), it still still an interesting take on what brought a French girl to America and her observations of American life. 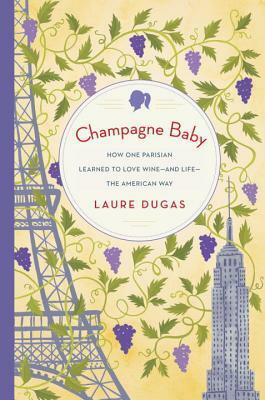 This isn’t a glamorous memoir; it’s more about wine than about Laure, really. Her easy-going writing style simplified some of the more complex concepts of wine. I especially appreciated her emphasis on not focusing on wine reviews, points or other distractions. Also her emphasis that wine changes from year to year, even from one side of the vineyard to another depending on the terroir (the soil). A lot of our appreciation of wine comes from how it is drunk (with dinner, with friends) not when it stands alone. Im really struggling with one of my Paris in July picks, I think i could dump it for this. I grew up in a wine district so I have a liking for wine history & stories. Thanks for introducing this.